Smoky Mountains Anytime will help you plan your entire vacation to the Smokies — all in one stop. Smoky Mountains Anytime features everything you need to know about a vacation getaway in the Smokies. People all over the world are drawn to these majestic mountains and stunning vistas of Great Smoky Mountains National Park. Surrounding towns offer outdoor adventure, family fun, and outlet shopping. This area is loved for its majestic rivers and mountains, theme parks, and distinctive towns. The Smoky Mountains is one of the most visited areas in America. Also, more people visit Great Smoky Mountains National Park than any other national park in America – nearly 11 million visitors annually. The neat thing is that you can visit the Smoky Mountains Anytime! Your vacation will include all of the outdoor beauty and adventure, best accommodations, a large variety of great restaurants, world-class shopping, and fun to experience on your next getaway. To help you plan your vacation, we have provided all the information you need on where to stay, eat, and play, places to shop, and many places to have fun! 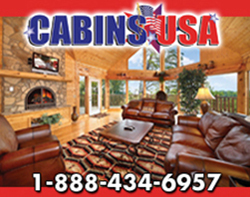 Most of all, we offer beautiful cabins that come in all sizes, luxury condos, small motels, large hotels with meeting facilities, and big cabins for groups. Furthermore, there are over 400 restaurants in Gatlinburg, Pigeon Forge, Sevierville, and Wears Valley. In addition, museums are plentiful and offer hours and even days of fun and interesting adventure. Each season is a wonderful time to visit the Smoky Mountains. You will discover lots of fun activities available at any season. In the summer, there are many water activities, while fall brings brilliant colors of red, orange, and yellow and a multitude of fall decor. Winter offers solstice and an opportunity to have breathtaking views of snow on the mountains. Finally, Spring brings an abundance of mountain wildflowers and awesome festivals. A drive through Cades Cove, maybe taking in a few hiking trails, and other outdoor activities are at your fingertips year ’round. 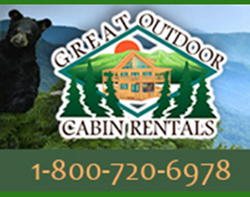 During more seasonal months, you will probably spot a bear or two or maybe even an elk. As much as we love to see you come to the Smokies, we hate to see you go. Most of all, we can’t wait for you to visit again soon.